Go to itunes and download it! 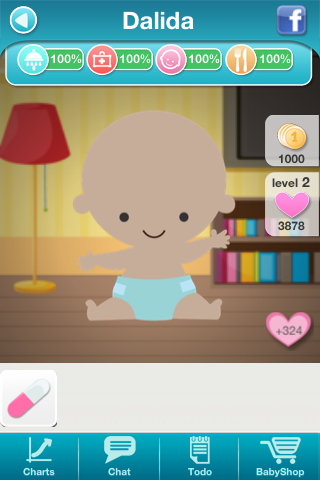 Appibabies is a virtual solution to a real life problem : why having a kid should take 9 long months and be so expensive? With appibabi.es the team already won the Startup WeekEnd Paris, and the Startup Week End Europe in London. Development in Ruby on Rails API, Objective-C.
Help in product definition, but most of all priorisation. Set up metrics and analytics.